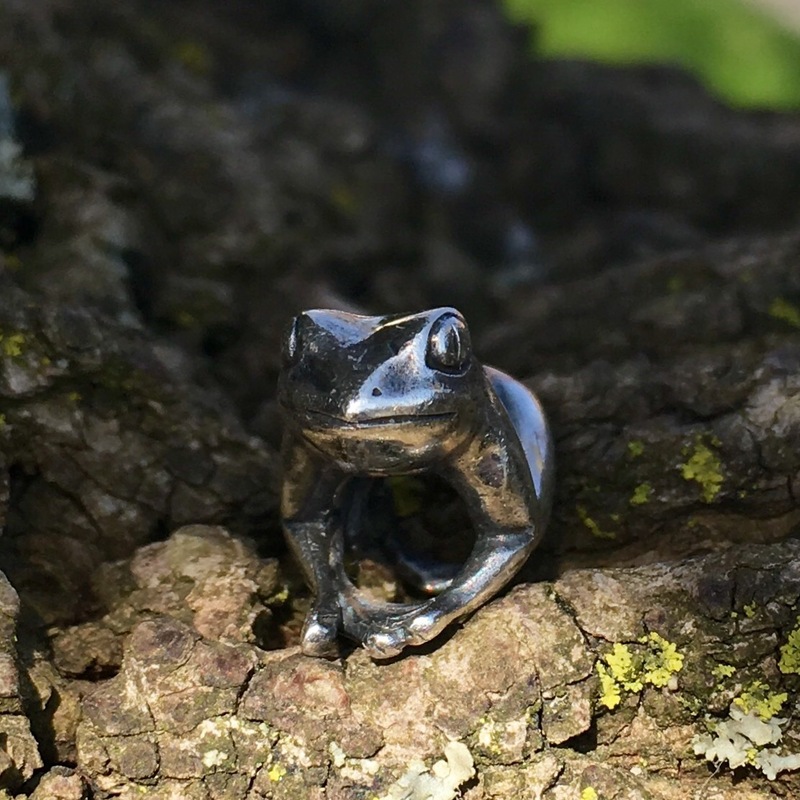 The little Tree Frog by Redbalifrog is just so cute! 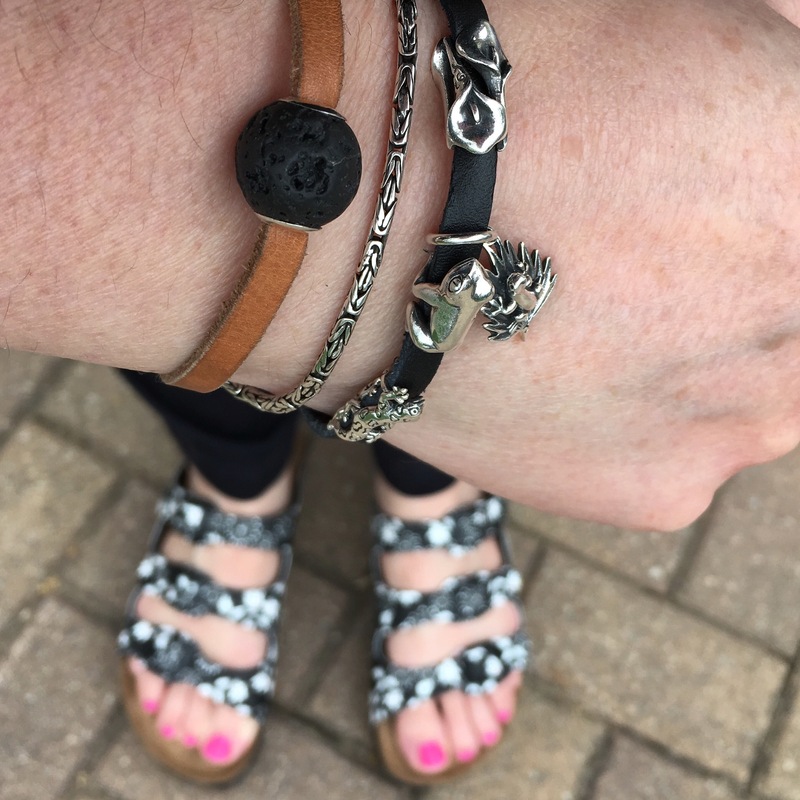 The feet are so detailed-here is the bottom of the silver bead on the Redbalifog Black Leather Strap. I love the eyes. He’s a very serene looking frog, I think. I bought the Palm Frond & Frog dangle years ago. Here they are together, perhaps they are related! 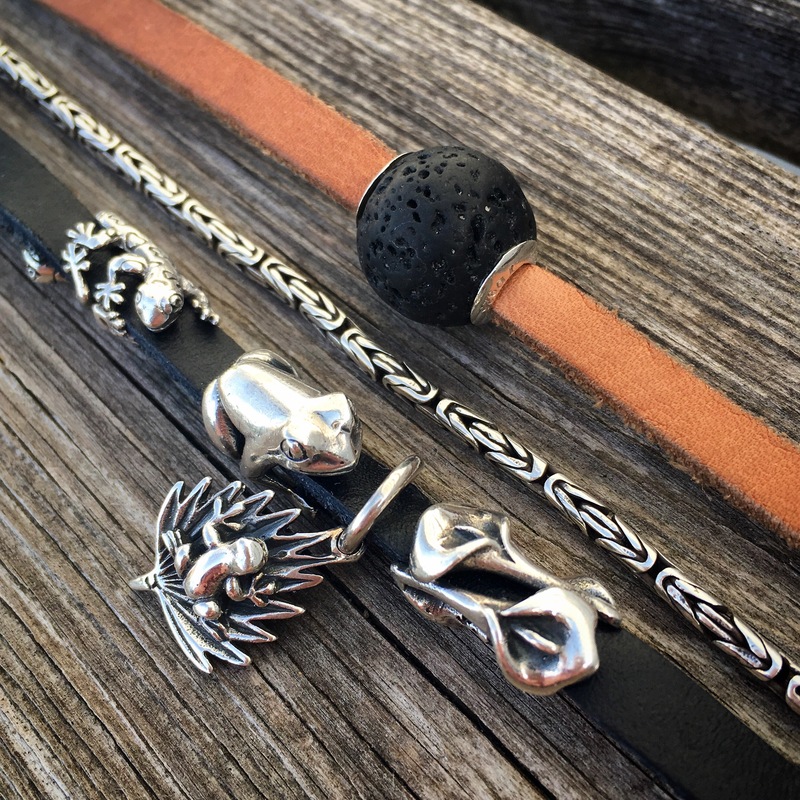 I put both frogs on the Black Leather and the Volcanic Fossil on the Tan Leather. 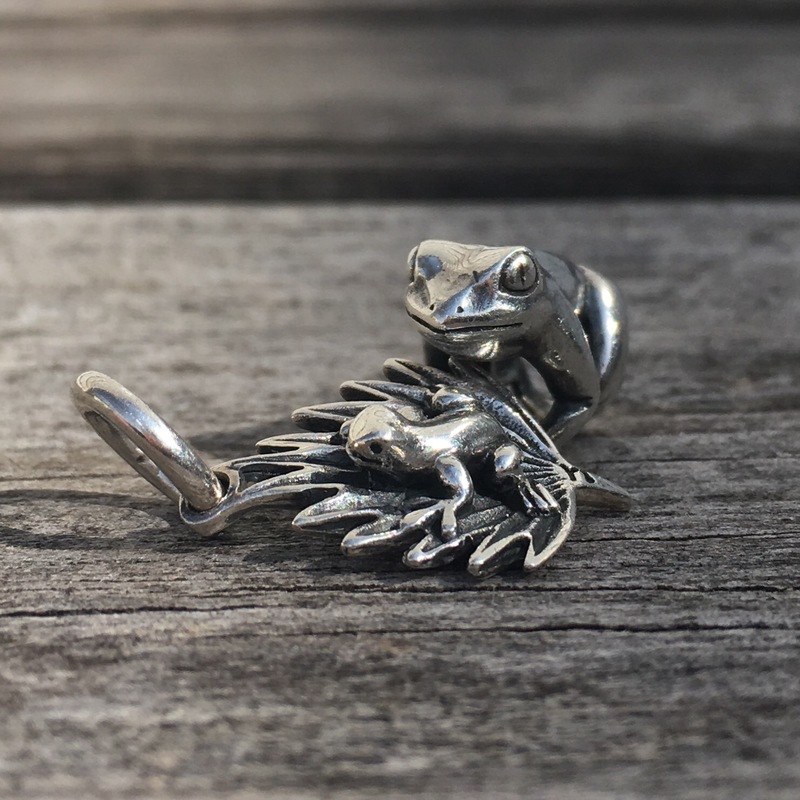 All of these, including the silver bracelet, are Redbalifrog. 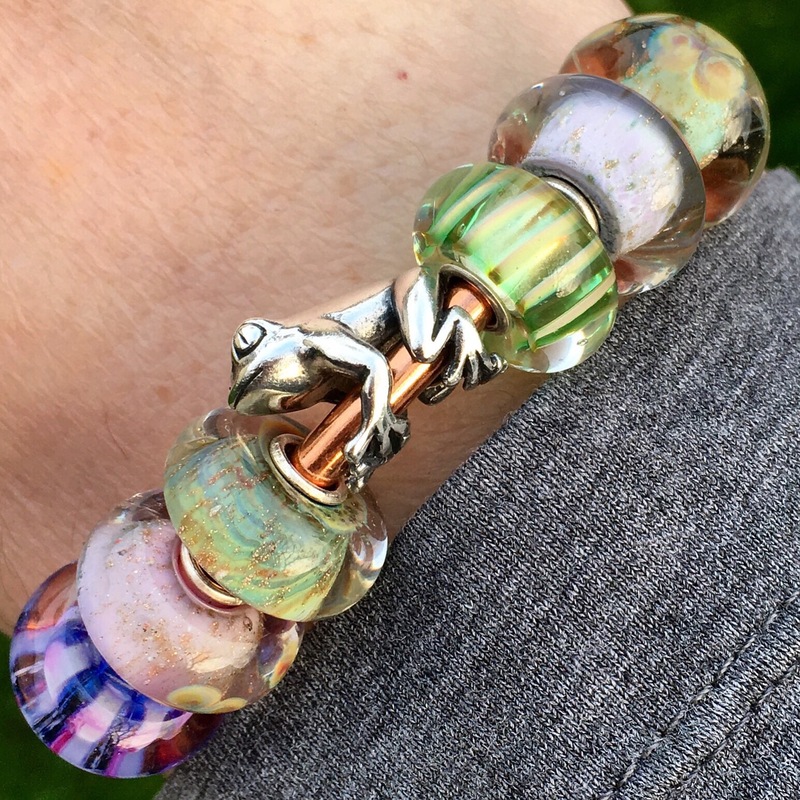 I also wore the Tree Frog on my copper bangle with the Trollbeads Mysterious Ways Kit. He sat very nicely and did not flip (or jump, ha ha!) around. But I think he looks particularly fabulous on leather, would you agree? Aren’t they though! So realistic looking! Thanks Sarah! I hope your order arrives this week! 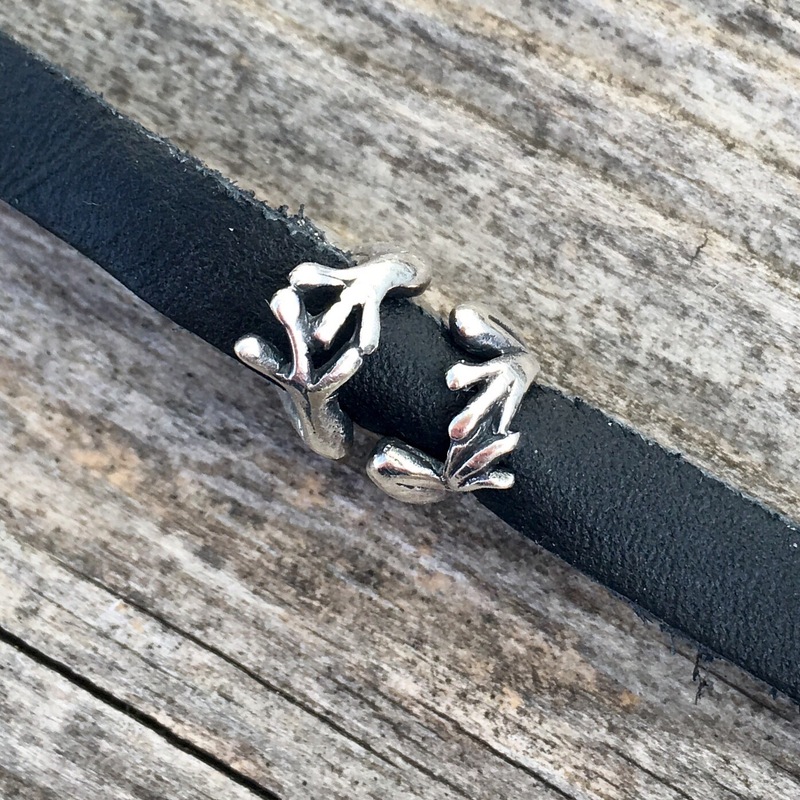 The frog would be very sweet with your flower beads! He’s very sweet, and I think he looks great on the leather. Me too, Debbie. Will put him back on the leather again soon!